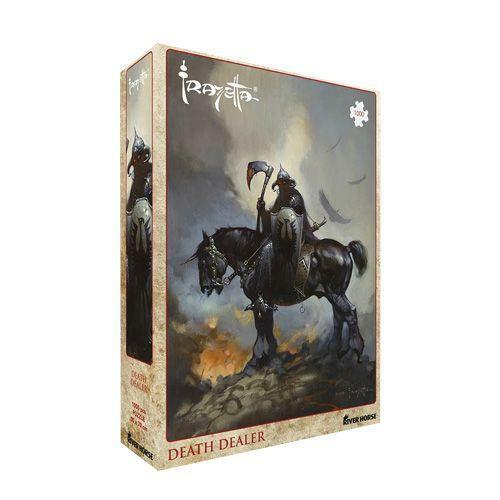 River Horse are celebrating Frazetta’s genius by releasing these awe-inspiring jigsaws that picture some of his most famous drawings. These 1000 piece jigsaws have been manufactured with the latest high quality techniques to provide an absorbing experience: thicker tiles, perfecting bonding connection (you can pick up the jigsaw without glue!) and high quality printing with a superb matt finish. Recreate an iconic Frazetta artwork today by picking up these three masterpieces: The Barbarian, the Death Dealer, and the Egyptian Queen. What are you waiting for? Open the lid and go!